The author in the North Cascades, August 2018. 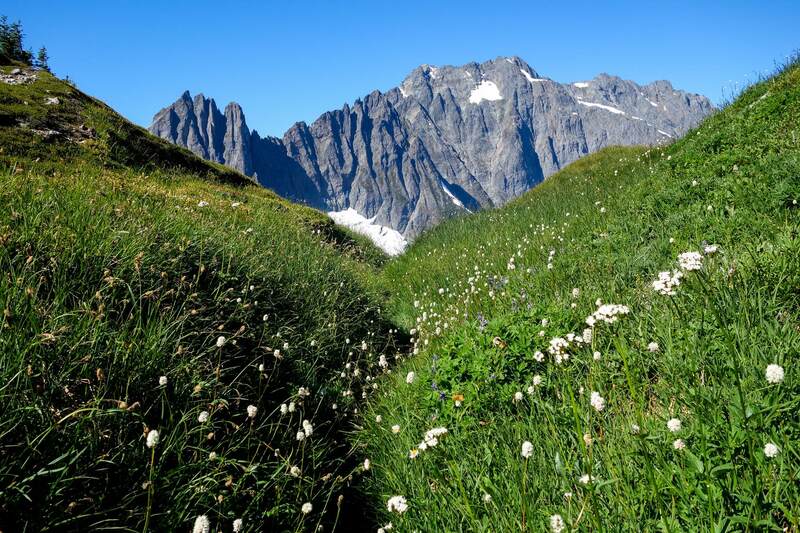 For most of European history, people found little pleasure in mountain landscapes. Mountains were a nuisance––obstacles to travel and economically unproductive. And they had little value as scenery. Their artless, irregular shapes disturbed classical ideals of order. 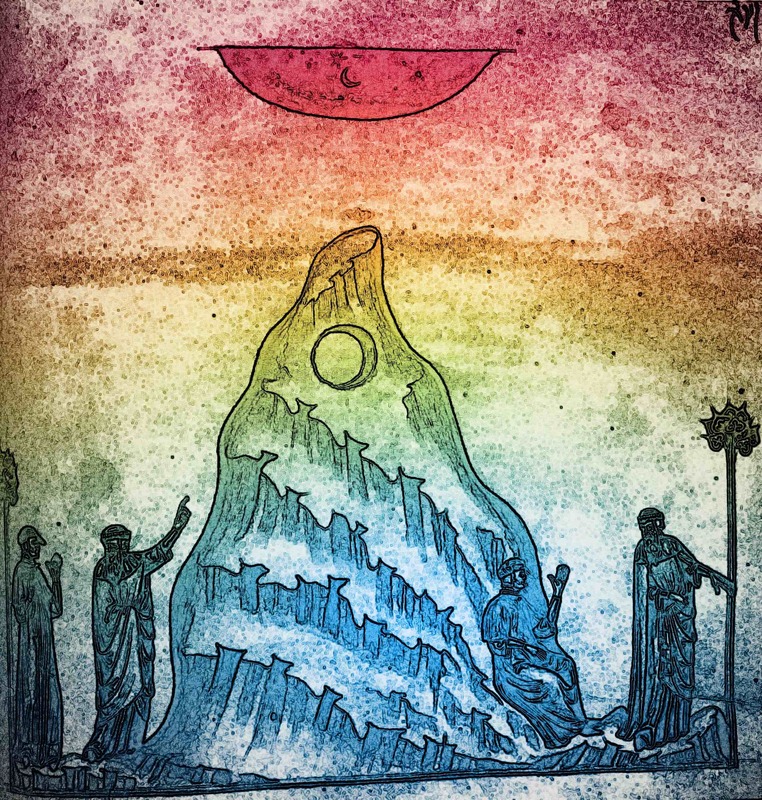 Christians of the Middle Ages would allegorize the chaos of wild wastes and broken stones as the unsightly rubbish of a fallen world––the postlapsarian antithesis of Eden’s gentle and harmonious garden. As late as the eighteenth century, travelers crossing the Alps drew the curtains of their carriages to prevent any upsetting glimpses of geological chaos. 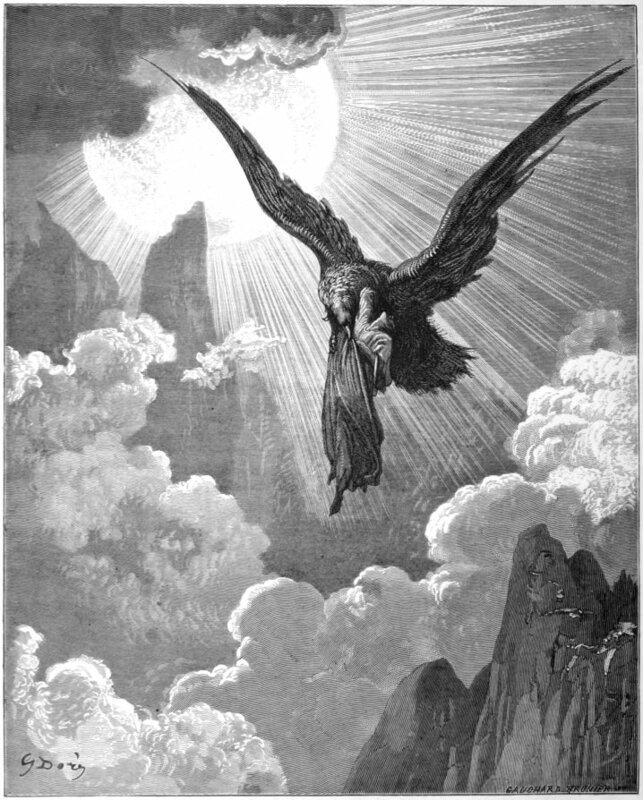 Dante’s Purgatorio provides the supreme western model of physical ascent as transformative spiritual pilgrimage. Its seven-story mountain offers neither picturesque scenery nor recreational adventure. It’s no place for the casual or careless visitor. It exists only as a rigorous ordeal of purgation and rebirth. Such mountains are best avoided unless you want to change your life. In contrast, Dante’s Italian contemporary, Francesco Petrarca (Petrarch) left us a rare record of medieval mountain walking as an appreciative outing unburdened by excessive meaning. When he ascended Provence’s Mount Ventoux in the spring of 1336, he became “the first to climb a mountain for its own sake, and to enjoy the view from the top.” [ii] That may be a slight exaggeration, but Petrarch’s enthusiastic write-up of his day-hike does feel closer to Wordsworth than to Dante. He took pleasure in the nearness of drifting clouds and the distant vistas of snowy Alps and the Mediterranean blue. Petrarch remained medieval when he reflected on the allegorical dimensions of his walk. “What thou hast repeatedly experienced to-day in the ascent of this mountain,” he told himself, “happens to thee, as to many, in the journey toward the blessed life.” And when he opened the copy of Augustine’s Confessions he always carried with him, the passage that caught his eye made him worry whether he had been enjoying the creation more than its Creator. If only he had brought Mary Oliver instead! In Anglican theologian Thomas Burnet’s response to the Alps in 1671, we can foresee the emergence of a more modern sensibility. But it didn’t come easily. Still deeply imprinted with Europe’s cultural aversion to mountains as the “ruins of a broken earth” and “a dead heap of rubbish,” Burnet was appalled by the Alps’ “ghastliness,” disorder, deformity and lack of symmetrical balance. They threatened his understanding of God as the Great Architect whose glory shone in Creation’s meticulous design. “I was not easy,” he confessed, “till I could give my self some tolerable Account how that Confusion came in Nature.” [iv] But at the same time, he was unable to dismiss the Alps’ emotional impact. Burnet tried to resolve his inner conflict by writing The Sacred Theory of the Earth (1684), blaming Creation’s visual disarray on the Flood––and the human sin that caused it. The post-diluvian mess of mountains and other wastelands was therefore no failure of intelligent design. The Divine Architect was off the hook. Neat, but I suspect that the unnerving wildness of the Alps continued to haunt Burnet’s dreams. I fell in love with mountains as a boy on family vacations at Fallen Leaf Lake in California’s Sierra Nevada range. There’s a 10,000’ peak above the lake, and the steep scramble to its summit was one of my favorite adventures. I’ve rambled the high country ever since, including Mt. Agazziz (13,899’), Mt. Rainier (14,411’), and Mt. Whitney (14,505’). 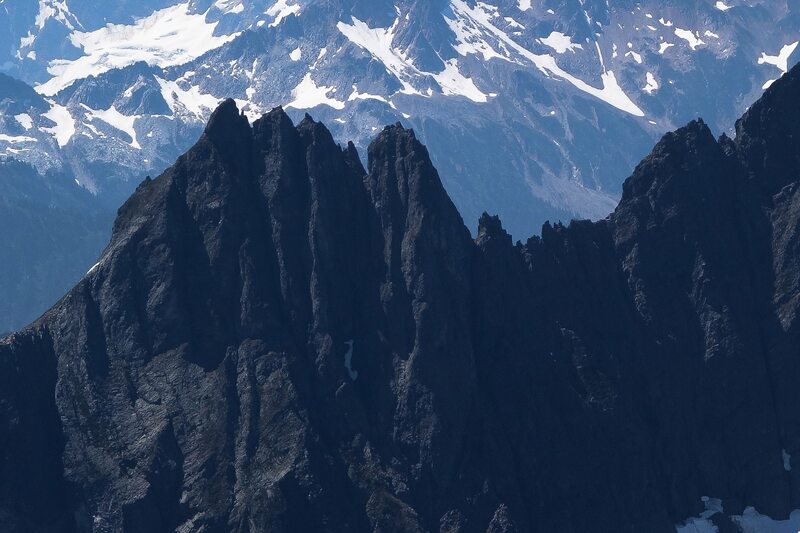 “The mountain of God is a mountain steep indeed and difficult to climb,” said Gregory of Nyssa. [x] He used the word epiktasis (“straining forward to what lies ahead”) to describe the goal of human life, in this world and the next, as the endless pursuit of God’s inexhaustible mystery. Never knowing what’s beyond us is the life of faith. It’s why we keep climbing. When Moses summited Mount Sinai, he disappeared into the Cloud of Unknowing, the dazzling darkness of divine mystery. Whatever happened to the Hebrew prophet up there, the mountain itself became a foundational archetype for every spiritual ascent. The Arabic name for Mount Sinai is Jebel Musa, “Moses’ mountain.” Although not the tallest of the region’s peaks, its volcanic mass, “rearing its giant brow above the plain, as if in scornful contemplation of the world beneath,” proved a persuasive indicator of its biblical authenticity. [xi] Two millennia of Christian pilgrimage have further burnished its sanctity. Who shall ascend unto the hill of the Lord? Or who shall stand in God’s holy place? who have not lifted up their soul to vanity, nor sworn deceitfully. 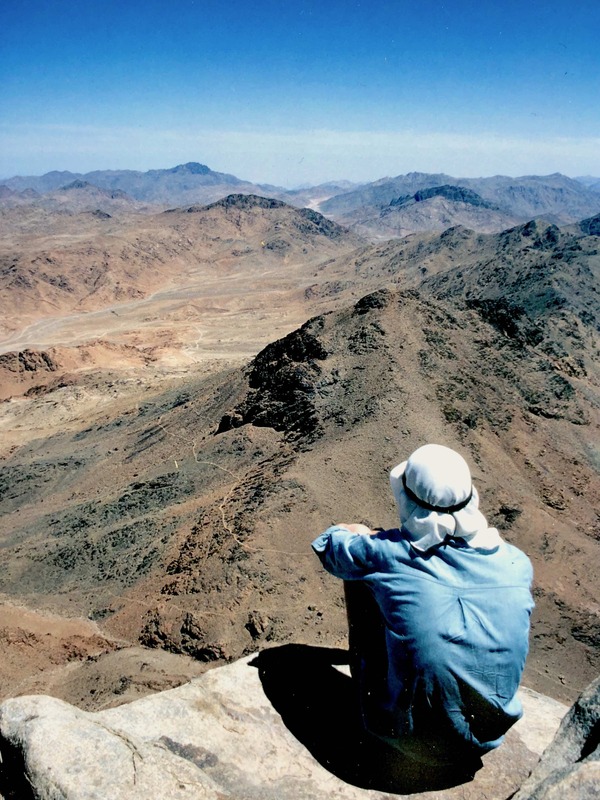 The author on the summit of Mount Sinai, 1989. [i]Rudolf Otto, The Idea of the Holy(1923), 28. [ii]Kenneth Clark, Landscape into Art(1949), 23. [iv]q. in Marjorie Hope Nicolson, Mountain Gloom and Mountain Glory: The Development of the Aesthetics of the Infinite (Seattle: University of Washington Press, 1959/1997), 207. [vii]John Muir, My First Summer in the Sierra. [viii]Robert Leonard Reid, “The Mountain of Love and Death” in Mountains of the Great Blue Dream(Albuquerque: University of New Mexico Press, 1991), 15-16. Reid’s writing about the high country is full of wit and wonder. His latest collection of writings, Because It Is So Beautiful: Unraveling the Mystique of the American West,just came out in paperback. [ix]Ignatz(1972) is not currently available, but I’m working on it. I took the protagonist’s name from the mouse in Krazy Kat comics, with a simultaneous nod to Ignatian spirituality and the German term for a holy fool. The blockhead game played by the man in black references Death’s chess game in Bergman’s Seventh Seal. [x]Life of Mosesii.46, in Belden C. Lane, The Solace of Fierce Landscapes: Exploring Desert and Mountain Spirituality(Oxford: Oxford University Press, 1998), 106. [xi]Edward Palmer in 1871, q. in Mount Sinai, Joseph J. Hobbs (Austin: University of Texas Press, 1995), 100. [xii]Edward Hull, in Hobbs, 123-24. [xiv]Personal journal, May 12, 1989. [xv]Geographical Magazine6 (1937), q. in Hobbs, 239-40. This entry was posted in Anglican spirituality, Belief, Christianity, Hiking, Mountains, Nature, Pilgrimage, Spirituality, Theology and tagged “The Most-Sacred Mountain”, Cloud of Unknowing, Dante's Mount Purgatory, Eunice Tietjens, Gregory of Nyssa, Holy mountain, Marjorie Hope Nicolson, Mount Sinai, Mountain Gloom Mountain Glory, Mountain spirituality, Mountains of the Blue Dream, Petrarch Mount Ventoux, Psalm 24, Robert Leonard Reid, Thomas Burnet Sacred Theory of the Earth, Thomas Gray by jimfriedrich. Bookmark the permalink. Read this as we waited at the Gate to depart for the Alps. Brought Beldan Lane with me. I hope your Alps walk is more Gray than Burnet! I looked up Robert Leonard Reid, the songwriter, cabaret pianist and mathematics text writer. What a fascinating biography! I ordered Because it is so Beautiful: Unraveling the Mystique of the West. It looks comparable to the naturalist, Wallace Stegner. Thanks for the introduction. I hope all is well, and we hope to see you in the not too distant future. Thanks for this, Greg. Nice to know an appreciator of Michaelmas, and Dharma Bums. I prefer to go with more layers than Snyder. I hope you enjoy Bob’s book!